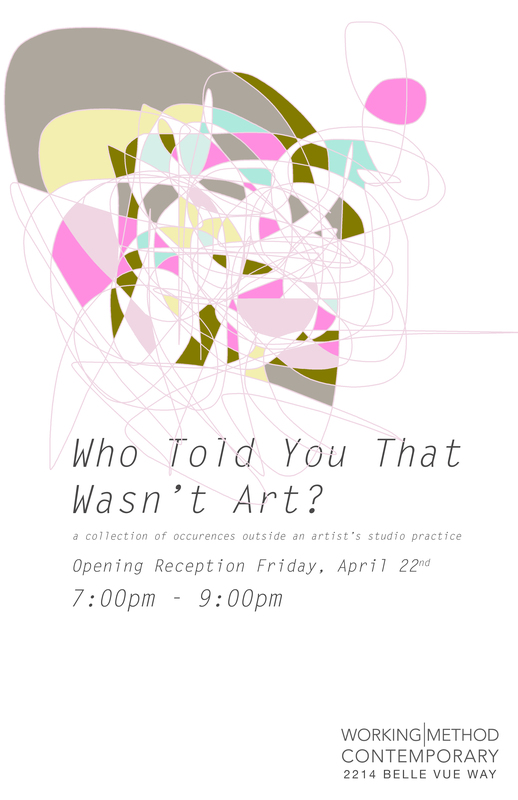 Department of Art | Working Method Contemporary Presents: "Who Told You That Wasn't Art?" Home » News » Working Method Contemporary Presents: "Who Told You That Wasn't Art?" Working Method Contemporary Presents: "Who Told You That Wasn't Art?" Working Method Contemporary presents: Who Told You That Wasn’t Art? As art students, it’s easy to get lost in our studio practice. Sometimes the things we do just for fun are just as important to who we are and what we want to make. This exhibit showcases creative occurrences BFA and MFA students at FSU embark in outside of their normal studio practice. Opening reception will be held Friday, April 22nd from 7:00pm – 9:00pm at Working Method Contemporary – 2214 Belle Vue Way. This reception is free and open to the public and will have snacks and refreshments!